Storage performance can have a real impact on your IT costs and user experience. This webinar series will help you understand how to manage and maximize storage performance for your vSphere environment. 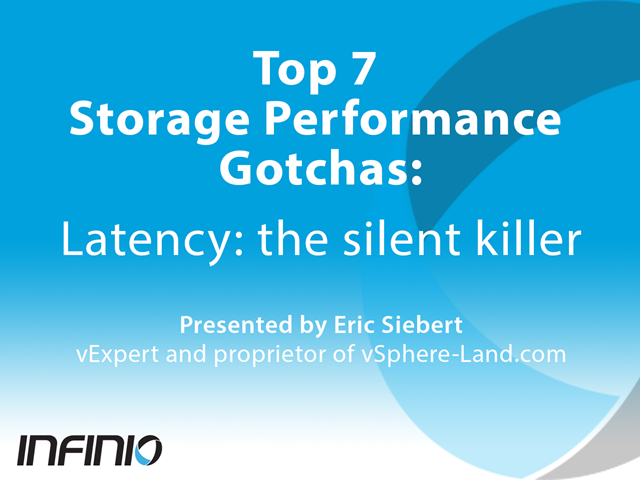 vExpert and author Eric Siebert will cover practical, technical tips and best practices to help you meet the challenges of storage performance in today's virtualized datacenter.